Redstone Federal Credit Union, Huntsville, Alabama has a strong tradition of generosity in its home community. 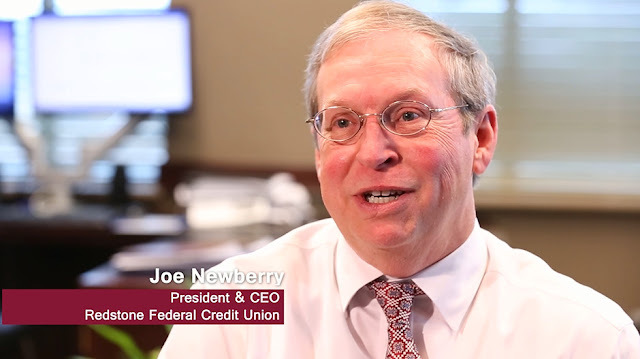 In 2016, with the credit union’s 65th anniversary on the horizon, President/CEO Joe Newberry and his board of directors wanted to make a significant charitable donation to commemorate the credit union’s milestone. “We needed to do something big — a ‘Big Wow’ — a special contribution to benefit our community — not just for today, but for the next 65 years,” he said. Newberry had been talking with the Huntsville Library Foundation about its fund drive to build three new library branches. He realized it was the perfect opportunity to donate some of the earnings from the credit union’s new charitable donation account (CDA). A few months later, Newberry announced a $2.5 million donation to help build the three new branches at a news conference held at the Huntsville Madison Public Library. With $1 million from the charitable donation account as the seed money, the credit union plans to donate the remaining $1.5 million over the next five years. You can learn more about the significant impact of this donation on the community in this video of Michelda Johnson, Capital Campaign Consultant at Huntsville-Madison County Public Library. In the past, when the credit union made charitable contributions, the funds came from its net income. But Newberry wanted to find a way to plan and structure Redstone's commitment to giving. He wanted to invest available funds for future charitable gifts in investments that are not typically available for credit unions. That’s when he began to look into investing in a CDA. With a 39 percent increase in CDA investments in the past year alone, credit unions seem to be seeing the value in this new program. CDAs allow federal credit unions to take advantage of an expanded universe of investments. The accounts can potentially help them increase charitable giving and create additional operating income for the credit unions who use them. These investments provide the potential for returns higher than traditional investments available to credit unions, although they come with additional risk. Newberry and the Redstone FCU staff did their due diligence investigating CDAs, including checking with other credit unions that were already using them and researching vendors. The credit union chose CUNA Mutual Group for one main reason: trust. “They always keep us in compliance. They always keep it very simple. And, they’re always willing to come in and talk to our community members and board members,” Newberry said. Want to learn more about CDAs? You can learn more about them on our website right here! Scott Albraccio is an Executive Benefits Sales Manager with CUNA Mutual Group. He can be reached at scott.albraccio@cunamutual.com or 800.356.2644, ext. 665.8576.
i NCUA 5300 Call Report, 12/31/16. Proprietary insurance is underwritten by CMFG Life Insurance Company. Proprietary and brokered insurance is sold by CUNA Mutual Insurance Agency, Inc., a wholly owned subsidiary. This insurance is not a deposit and is not federally insured or guaranteed by your credit union. CUNA Mutual Group is the marketing name for CUNA Mutual Holding Company, a mutual insurance holding company, and its subsidiaries. Representatives are registered through, and securities are sold through, CUNA Brokerage Services, Inc. (CBSI), member FINRA/SIPC, 2000 Heritage Way, Waverly IA 50677, toll-free 866.512.6109. Insurance and annuity products are sold through CMFG Life Insurance Company. Non-deposit investment products are not federally insured, involve investment risk, may lose value and are not obligations of or guaranteed by the credit union.